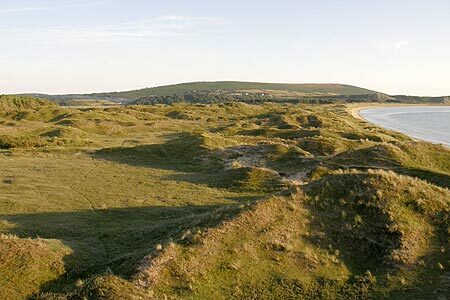 This walk in the County of Swansea features some of the wonderful coastal scenery found in the Gower Peninsula. The route includes a length section on a sandy beach and includes the wonderful viewpoint of Llanmdoc Hill from where you can see most of the walk just undertaken. A GPX File is available for download (see walk description).